Reduce overpopulation caused by feral/community cats. Trap-Neuter-Return (TNR) is the only humane solution to the feral/community cat population problem. It is the No. 1 way PAWS Chicago is going to reduce the kitten and cat population on the streets of Chicago and at Animal Care & Control (the city pound). PAWS Chicago is a sponsoring organization under the Cook County TNR ordinance and helps caregivers care for outdoor feral/community cat colonies. To be a legal Outdoor Cat Colony Caretaker specializing in Trap-Neuter-Return (TNR), you must be registered with a sponsoring organization (like PAWS Chicago), who reports your colony statistics to Cook County annually. As a Caretaker, you will be working in the field in Chicago’s neighborhoods, depending on where your colony is. Hours and locations depend on your colony’s needs. You will be responsible for trapping your colony’s cats and bringing them to the PAWS Chicago Lurie Clinic to be spayed or neutered. 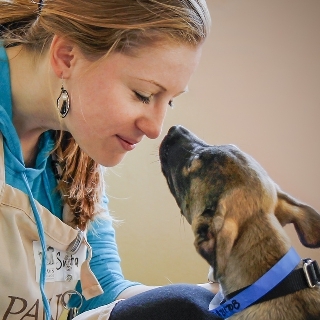 PAWS Chicago offers one-time seminars on TNR as well as ongoing support. As a TNR Trainer, you will train new volunteers about the PAWS Chicago TNR program in a workshop setting. As a TNR Colony Support Volunteer, you will provide operational support that ensures the TNR Program runs smoothly. Hours are flexible between 8:00 a.m. - 5:00 p.m.
As a Trapping and Transportation Volunteer, you will help trap and transport cats to and from caretakers who have agreed to participate in the TNR program. You will learn how to set the traps and deliver them to the assigned properties. Trapping and Transportation Volunteers work in the field. Hours and locations depend on current projects and needs. A great deal of the trapping will take place in our Targeted ZIP Codes: 60609, 60617, 60619, 60620, 60621, 60628, 60629 and 60636. As TNR Community Outreach Volunteer, you will build relationships with neighbors and other community organizations, uniting neighborhoods to help more cats. You will help evaluate the TNR need in various communities to help prioritize where PAWS Chicago invests its TNR resources. Once working a neighborhood, you will be an active advocate for cats by helping to reach cat-loving residents and teach them about the importance and benefits of TNR, building relationships and placing door hangers around the neighborhood to spread awareness of the TNR program and how people can get involved. TNR Community Outreach Volunteers work in the field. Hours and locations depend on current projects and needs.